He wandered disappointed through the moss-covered stones and rotting wooden structures of the ruined city. The minstrel had hoped to earn some gold by playing at a tavern that night, but there was not another living soul around. Cursing aloud in frustration, he kicked some rubble on the ground, only to reveal something thin and shining. He bent down and brushed away the rest of the dust—it was a sword in excellent condition, not just gleaming, but radiating with flaming glow. The minstrel smiled, thinking that his evening had just massively improved. Among the ruins of a civilization ravaged by apocalyptic terrors lie untold treasures, remnants not just of the most recently fallen culture, but of the mysterious others that came before. 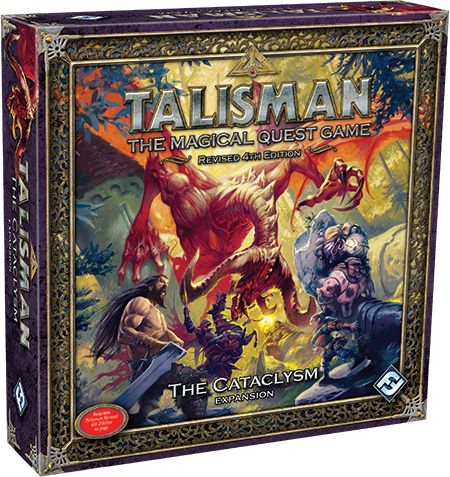 In Talisman: The Cataclysm, you will unearth those remnants and rediscover items, magics, and even cultures that have been lost for ages. Our first preview explored the realm of Talisman, utterly transformed and now striving towards rebirth after its devastation. We visited a few sites on the expansion’s new center board and looked at the adventures that lay therein. Our second preview introduced some of the Denizens that now inhabit the civilized areas of the realm, as well as some of the characters that now seek the Crown of Command. 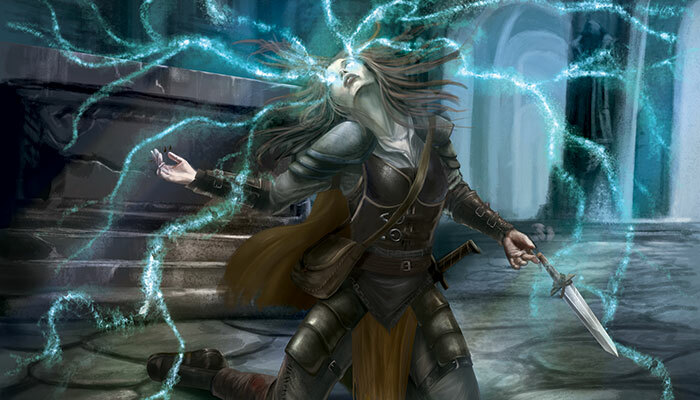 Today, we will look at the Remnants that have been scattered throughout the realm and at two of the four alternate endings included in The Cataclysm. 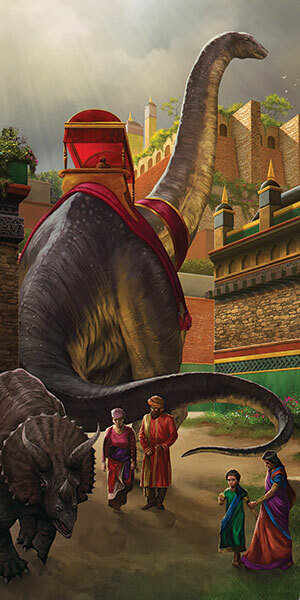 We have also uploaded the expansion’s rulebook for you to preview. The civilization that you once knew has been destroyed. Decades have passed since its fall, and many of its people have fled or passed on, but everywhere, traces of that civilization—and its predecessors—still remain. 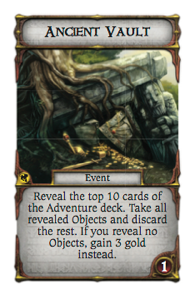 When you begin a game, Remnant cards are placed facedown on locations throughout the Outer and Middle Regions: the Hills, the Hidden Valley, the Graveyard, the Ruins, and others. 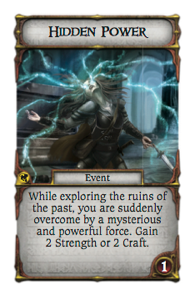 You can look at the Remnant Card of a location before deciding to explore any further, but more often than not, Remnants are well worth encountering. 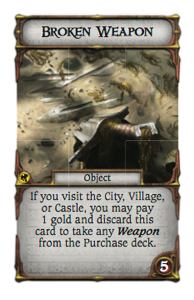 At the minimum, you might discover a Broken Weapon that can be reforged or some Salvage that you can sell to a Denizen for some gold. 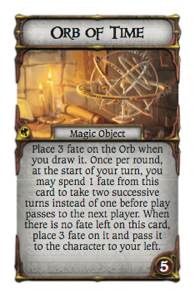 Hidden somewhere in the realm, however, lies the magical Orb of Time , which grants its bearer extra time to use as he or she wishes, but which cannot be kept permanently. 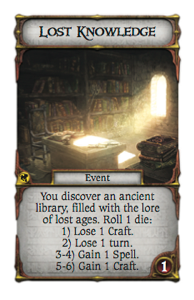 There may be an abandoned library deep in the Ruins or Hills, concealed by overgrown plants and thick mosses, full of Lost Knowledge that could either empower or confuse you. 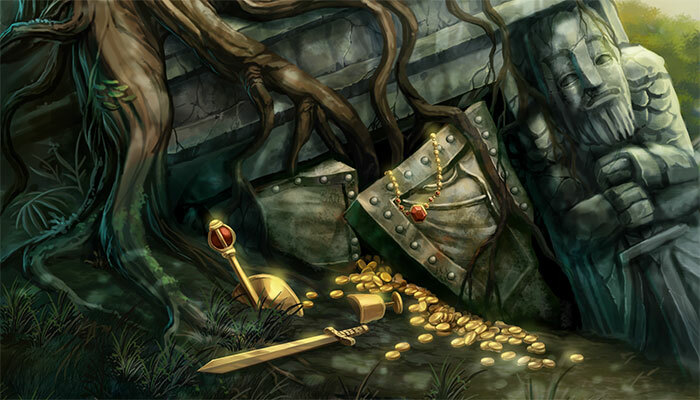 A very fortunate adventurer may even stumble upon an Ancient Vault packed with valuable, and perhaps dangerous, Objects. Your explorations may even bring you towards a Hidden Power that will permanently enhance your Strength and Craft, or you may unearth the fabled Cataclysm Blade that is said to have somehow caused the end of the world. Four Alternative Endings adapt your games of Talisman to the new circumstances of the post-apocalyptic world. In one, the Denizens of the realm turn against you and form a cult determined to thwart all who seek the Crown of Command. In another, whoever seizes the Crown rapidly drains life from all other characters. A third encourages you to explore this transformed realm and have as many adventures there as possible. When the Lands of Wonder Alternative Ending is in play, you and your competitors collect the Enemies, Objects, Places, Events, Strangers, or Followers that you encounter and place them facedown. The first character to reach the Crown of Command with twelve different facedown cards wins the game. 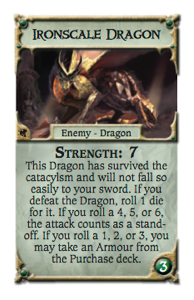 Therefore, you may want to take on Enemies that otherwise you would seek to avoid, like the infernal Aeon Demon that dwells outside of time, or the Ironscale Dragon , whose natural armor enabled him to survive the apocalypse. 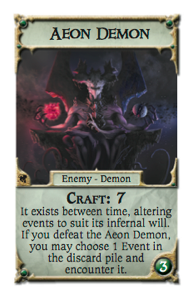 The fourth Alternative Ending is The One Talisman. 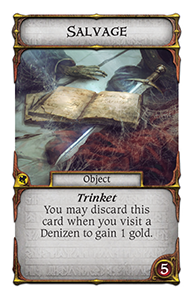 At the start of the game, a single Talisman is randomly selected from all the decks that are in play. Whenever a character would gain a Talisman, he or she takes the One—even if it is already in someone else’s possession. To win, you must reach the Crown of Command with the One Talisman in hand, even as all your opponents are doing everything in their power to take it from you. Perhaps you explored every corner of Talisman as it once was, from the Woodland, to the City, to the Valley of Fire. Perhaps you have achieved the Crown of Command, ruling the realm with magnanimity or with an iron fist. Yet the Talisman of The Cataclysm is a brave new world, at once familiar and uncannily different from the one you know so well. It is time for you to rediscover the realm. 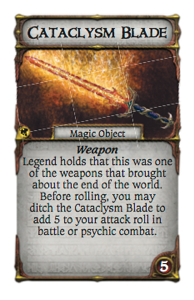 Talisman: The Cataclysm is coming soon. Before it arrives, experience the early stages of the apocalypse with The Harbinger, currently available at local retailers and in our webstore.